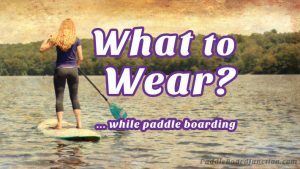 Are you looking for a new paddle board? 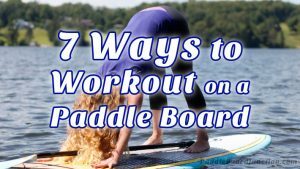 Don’t worry, here are some great affordable choices whether you are a beginner or an advanced paddle boarder. 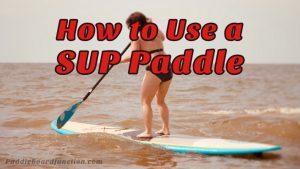 They all come with the accessories needed to start if you are new to SUP. 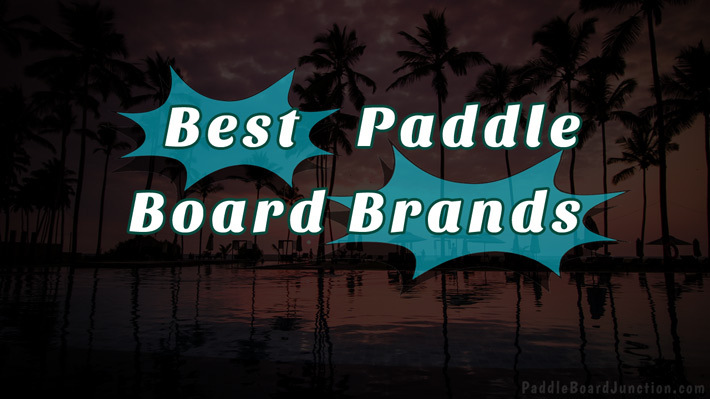 No matter where you want to paddle, whether is lakes, rivers, or rapids, these 5 best paddle board brands are a great investment, especially for recreational purposes or if you are new to the sport. 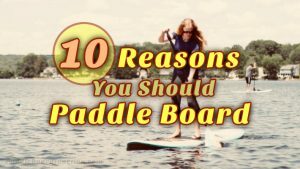 Let’s learn a wee bit about each board company so you can make a better decision when buying that next, or your very first paddle board! Atoll isn’t a well known brand, however, they have reasonable priced boards. In fact, there is even a 2 year manufacturers warranty on the board. Their greatest asset is their friendly and helpful customer service, a reason why many enjoy this brand. A great board to check out is the Atoll 11’0’’ Foot Inflatable Stand Up Paddle Board. At the price of $735.99, it has many features. The board comes with a hand pump up to 15 psi, repair kit, front and back bungee tie downs, and a travel backpack. It also comes with a paddle and removable fins. It is a sturdy board and can hold people up to 300 lbs. It’s a well loved board by many. Tower has some great sturdy boards, in fact, this brand was on successful on ABC’s Shark Tank as well. A 2-year warranty is included which covers everything besides wear and tear. These boards can perform like a hard board, and it’s thicker width and rigidness make it more tolerable to weight. These boards have been tested by being run over by cars and are still great for use. Tower Paddle Boards Adventurer Inflatable is great for its 6 inch thickness and is $579.00. It allows for more stability when in the water. The board is 9’10’’ and can hold a weight up to 350 lbs. It can be inflated up to 15 PSI and feels similar to a hard board. It is made out of military-grade PVC material and drop-stitch construction which makes it very durable. It includes a board, pump, and a 3-piece adjustable fiberglass panel. Founded in 2004 in San Diego, CA, it’s a popular brand for an affordable price and high quality. The boards have a 30 day guarantee and a 1 year warranty. PEAK Inflatable Stand Up Paddle, $595.00, 126 x 31 x 6-Inch is a sturdy and travel friendly board. It supports riders up to 300 lbs and its weight is 23 lbs. It includes a paddle, backpack, coil leash, and high pressure pump. It has a sleek, stylish design, which is appealing for many. This SUP is built from the highest quality military grade PVC and drop stitch material. Boards inflate very quickly, are easy to assemble, durable, and light once inflated. A highly recommended board. Another great brand for those who want to start paddle boarding. They make durable boards and have no risk returns the first 30 days as well as 2-year warranty on materials. The iRocker Inflatable SPORT Stand Up Paddle Board is 11’ x 30’’ x 6’ at $665.00. It can hold up to 385 lbs and the board weighs 22 lbs. It is durable with triple layer military grade PVC like many of the other boards. It includes a paddle, backpack and hand pump. The shape allows to minimize drag and allows the board to carve through crests without any problem. Last but not least, Surftech paddle boards have been making rigid SUPs and surfboards for years. Founded in 1989 Surftech has become the world’s juggernaut in water-board manufacturing. If you grew up surfing in the 80s and 90s like I did you probably remember the big board shaper names such as Al Merrick, Rusty, and NSP. Well Surftech now manufactures those boards. Apparently while I was catching waves Surftech was acquiring surfboard companies. No stranger to design and global manufacturing processes, Surftech has become one of the largest sellers of rigid SUPs. If you go to buy your paddle board locally from a shop near by, chances are you’ll encounter a few SurfTech paddle boards. Heck, I’m currently riding one!